Many foreign and thai media outlets have picked up on a story coming from a catholic school in Chang Mai. At this weekends school sports day the students paraded in their annual themed fancy dress costumes. Unfortunately this year the students paraded in full Nazi gear, SS guard uniforms and a young girl at the front dressed as Hitler. It would be easy to condemn this parade out of hand as a right wing Nazi fest, but give a little bit of thought to what the Thai students know of the era? Without being critical of the Thai school curriculum, the history covered by Thai students deals more with Thailand history. Has our history lessons deal more with UK's history, the big difference being that the UK as been involved with more of the world events than what Thailand as been. Thailands WWII history involved capitulation to Japan, then towards the end of the war, Thailand tried to declare war on The allied powers. After the war, Thailand was occupied by the UK and US for a few years. That was it really. Many Thai's risked their lives to help keep allied POW's alive in the Burma rail death camps. Obviously the UK's WWII was very much more expensive and as a country we bore a massive suffering, sadly many european and other countries around the world suffered more. All this goes to say that we were on the winning side so we like the history. 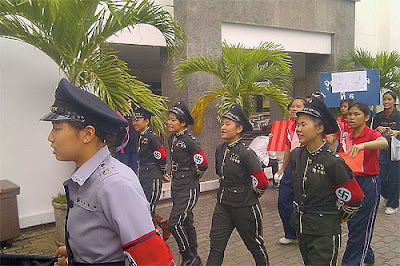 The students of the Sacred Heart Preparatory School in Chiang Mai were totally unaware of the distress that this parade was likely to cuase. I just hope there isn't the usual over reaction that is a thai trait and people are fired and lamnasted. The best thing that could happen is a series of lessons and lectures for the students on the Nazi's the holocaust. On 19th September 2006, I was watching TV in our house in Thailand when I received an sms asking me about how the tanks on the street were affecting my life in Thailand? I didn't have clue what was going on. The Thai TV channels were all playing patriotic music and showing pictures of the Royal Family. BBC Worldwide was broadcasting and telling me that there had been a military coup in Thailand whilst PM Shinawatra was speaking to the UN. 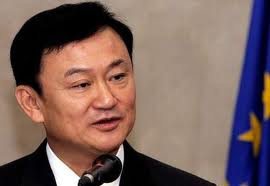 It all went off very peaceful thankfully and due to some incredibly biased reporting from Thai News agencies, Thailand was told it was for the best and the evil that was Thaksin was now over. The BBC was taken off air for several days and I had to get my info from western based news agencies. 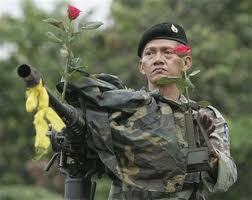 For the first time I saw propoganda in action, The Thai's were being shown pictures of Thai soldiers being greeted as heroes and having flowers put in their guns, they didn't realise that several taken for granted freedom's were being lost, freedom of speech as it was, was now significantly worse. The constitution was torn up and replaced with one that would eventually lead to problems down the line. It was an interesting time to live in Thailand and will add it to my list of life experiences, how no one was killed or injured still amazes me to this day! 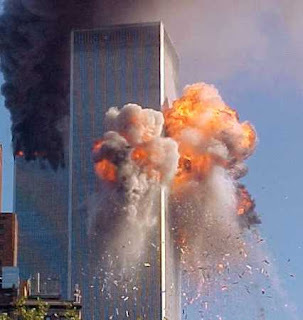 On the 10th anniversary of the terror attacks on the US, I can remember exactly what I was doing 10 years ago. I was at work and had just had my lunch when the driver came into the office and said that a plane had crashed into the World trade Centre. At the time it was suspected to be an accident, by the time we got on to the internet to look at the BBC website, the second plane had crashed into the other Tower and then everyone knew that this was no accident. The web kept on crashing and getting realistic correct news became a problem. We ended up getting an old portable TVout and getting the news on TV. Then the Pentagon was hit and the closure of the sky began. The rumours soon started that a planes were crashing into high rise buildings all over the world including London. The utter state of shock was amazing, thinking about the poor people on the planes, not knowing how many people had been murdered in and around the crash sites. Two weeks later, I flew to Cuba. When we arrived the Cuban's didn't have the feelings we did. They were in a state of party, no one was unhappy with 9/11 and there were plenty of T Shirts and memorabilia of the bombing on sale. Just goes to show that depending on your relationship with USA all depended on how you saw 9/11. This last 10 years have been a very savage decade, the invasion of Afghanistan which at the time was very succesful. The invasion of Iraq which was a travisty, one which I hope the leaders who ordered will be bought to book and the numerous terror attacks reeked all over the world seem to have grown. The last 10 years have definately been the decade of death and destruction. It doesn't look like the next 10 will be a great deal better! This is an idea I got from "Thailand Musing", one of the people I follow on Twitter. So I must apologise for the lack of originality and swiping someone else's idea. 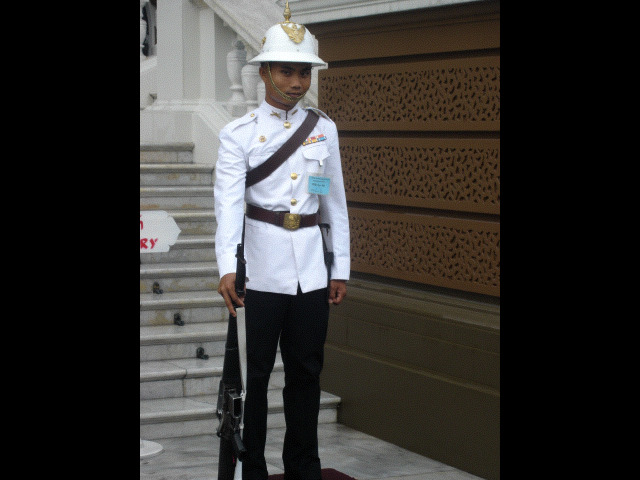 However, I feel I've been left Thailand now over four years and there are definately things I miss. 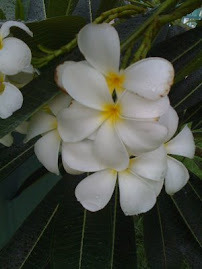 In the next coming weeks, I shal do a post "Ten Things I don't miss about Thailand". The choices are in no particular order, just as they came to me. 2. Cheap Prices. Obviously all prices are relative! For a foreigner living in the Thailand, day to day life is cheaper and if you go go native then life is very cheap. This does have a down side, but I'll go into that in the don't miss post. 3. Nightlife. Whatever your views on the Thai Nightlife scene, it is such a part of Thai life that to embrace it seems the natural thing to do, don't get me wrong, when you live in Thailand, the Nightlife offered in the flesh pots of Bangkok does become boring. You canthough, have a fantastic night out without even touching those areas. Some of the best nights out I've ever had have been in Thailand. In fact, Hard Rock Cafe Bangkok 24/08/2004, best night ever. 4. Beaches. 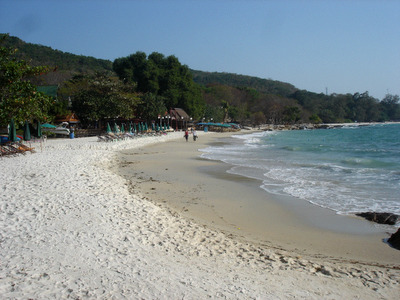 Thailand is famouse for its coastline, from the beaches of Phuket and Koh Samui through to Hua Hin and Cha Am an and on to the not so good beaches of Pattaya. Some of the Islands you can visit are outstanding. Koh Samet is only 2-1/2 hours by car from Bangkok. 5. Weather, This one will also appear in the don't like post, but you can gaurantee wam/hot weather all year round. 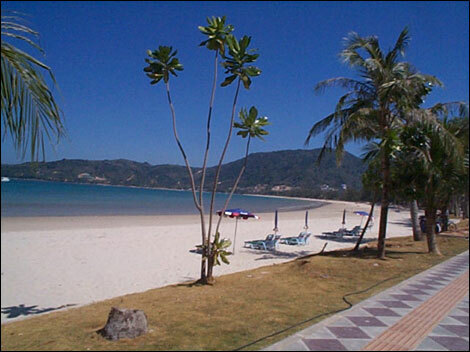 The coldest temperature I had in my time in Thailand was 18C. 6. People. Thai people at their best are without doubt some of the kindest people you will ever meet, hard working and reliable. My Wife's family are second to none, they are very down to earth and I consider them normal people. 7. Street Food. At any time in any part of Thailand you will be able to find a street vendor selling some kind of food, usually freshly prepared and always very cheap. Sadly Health & Safety and social behaviour get in the way of this type of thing taking off in the UK. 8. Restaurant Chains. I know that the UK has its fair share of good restaurants, but in Thailand they have the likes of MK, Fuji, Sizzler and Black Canyon. They all are very distinctive and offer excellent value and food. 9. Tradition. Although Thailand is coming out of the back of their "McDonalds Revolution" on the whole Thai people still respect tradition. The respect for the elderly and the Royal Family can be only be aploreded, I respect the fact you still have the national anthem at the cinema, you do give your seat up for elderly and pregnant women on buses. Family values are excellent. There are cracks appearing and it is sad to say that Thailand will probably end up the same as the UK in the future, but not yet. 10. Difference. Thailand as not only a different lanquage, but they write differently, Driving is different, courtship is different, the way people look is different, the food is different, the weather, the style of houses, breakfast, TV is all different. I love the difference!!!! Today my daughter Elizabeth started Primary School. She as been looking forward to starting school for the last six months. She is attending St. Elizabeth's Catholic Primary School in Belper, I know we are not Catholic! Elizabeth isn't even Christian, however I do want her to have a christian up bringing and a very formal (strict) education. This school has this kind of reputation. She looked so cute in her brown uniform and I felt very proud of her. We only live 200M from the gates of the school, so we won't have to take part in the school run with all the mothers in their Chelsea Tractors. I will periodically keep this blog up to date with how she is getting on under a new "Education" tag. On my visits to Phuket in the past, I have always succumbed to the beauty of this paradise, whether the hustle, bustle of Patong Beach or the tranquility of the neighbouring Islands. However, over the last year I have seen so many bad reports coming out of Phuket that my image of the place is being distorted. Daily, on Twitter there are reports by very credible sources about the goings on of the local Taxi Mafia. This as seen in recent times, US warships having to negotiate with local taxi firms to allow personnel to travel into Phuket for R & R on condition that taxi drivers got equal rights to the debarking sailors. If this parity was not given then they would not allow any personnel to leave the Port. Recently, an Australian couple were in a authorised tour car when it was attacked by 6 taxi drivers angry he was taking potential customers on a trip. The driver was nearly beaten to death and the passengers were verbally abused and threatened. Last year, the series Big trouble in Thailand painted Phuket as a place full of scammers and drug takers. One Jet Ski scammer as become famous around the world. He pulled a rifle on a Brit Marine when he complained about being ripped off. Westerner on westerner crime is also a big issue on Phuket. Today the UK Government confirmed the extradition of a Brit back to Thailand for the murder of a US Marine. This coward beat to death the Marine whilst on leave and will hopefully he will see big time in a Thai Prison. Hopefully, these stories are a few bad ones among 1000's of excellent holiday experiences and Phuket remains one of the most popular destinations in Thailand.